Annual Report 2017 — Empower Playgrounds, Inc. I have always found it difficult to explain the real context of what Empower Playgrounds does in rural villages. It is hard for people who have not spent time in deprived rural villages with no electricity or clean water to grasp the reality of children being raised there. We have used lots of photos and videos along with explanations to try to convey the true context. In the last couple of years, new technology has opened the door. Videographers using drones with high resolution cameras now capture with a short fly over much of the context that is so difficult to imagine without firsthand experience. Please take time to look at the video to the left and the others on the EPI website here. 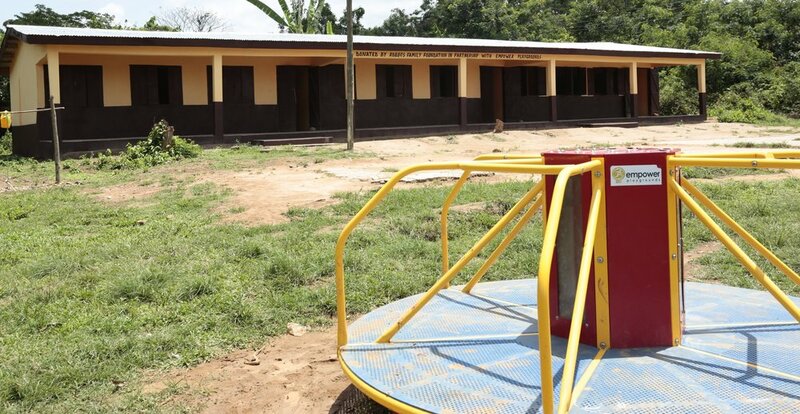 Imagine the empowerment a 10 year old child feels when there is playground equipment at school and dedicated light for children to study at night. Thanks for your continuing support. It is making a difference! In 2017, Empower Playgrounds installed 5 libraries at some of our top schools in Ghana. Upon a recent visit to the school, I saw students arriving to school with the library books they had checked out and read at night using their EPI lanterns. Samuel was one of the students I got to meet. I loved unexpectedly capturing the success of recent EPI projects on my camera and in my heart. This experience had me reflect on what it really means to these students to have access to library books. Imagine if you had to learn to read from a text book that you shared with 3 other students. It is unlikely you would find enjoyment in reading or become a strong reader. With the joy of reading, a greater proficiency is cultivated. 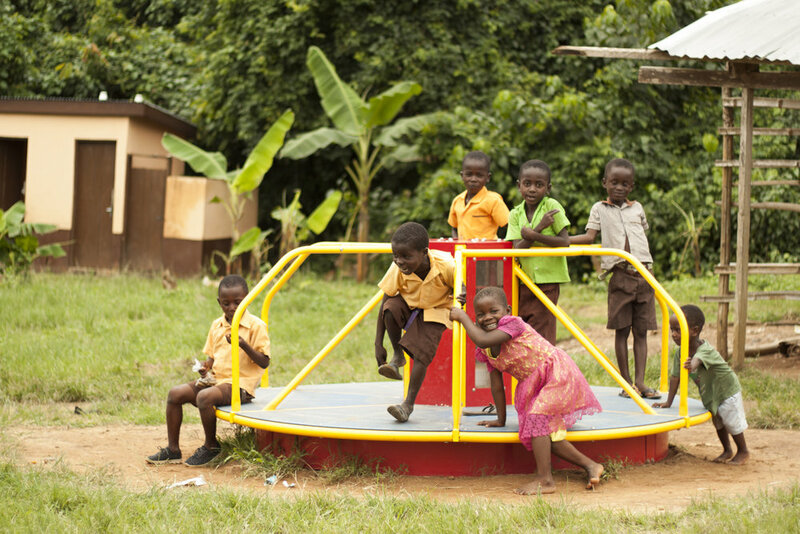 Empower Playgrounds in partnership with the African Library Project is becoming a part of creating better and happier readers in rural Ghana. We are excited for the next 5 libraries that will be installed in 2018 and more in years to come! In 2017, our focus has been rejuvenating and reorganizing our school’s lantern groups to provide a thriving learning environment, and to establish consistency, therefore the number of new installations was limited. We expect to begin expanding our schools again in 2018. 2017 was a monumental year because we partnered with the French organization Les enfants de Tangaye to install a merry-go-round in Burkina Faso, West Africa. This was a very exciting project. We are grateful to everyone who assisted with the much-needed French translation. We were excited to join the effort to help provide light to the Tangaye community in Burkina Faso. 2017 was an exciting year as we solidified our beautiful partnership with Tough Light LLC. Their lanterns are the best quality lanterns on the market, they are durable, long-lasting, and most importantly the children love them. Approximately, 25 schools have received the new lanterns so far and we will continue distributing and retraining the schools throughout 2018. With the new Tough Light lanterns, the children are able to study up to 10 nights for around 2 hours a night before they need to bring the lanterns back to school to recharge. We strongly suspect that the lanterns are also being used for other purposes in the home such as helping the parents continue to work and prepare for the next day and we know many children use the lanterns on the low setting as a nightlight throughout the night. We do not mind that the lantern gets extra uses outside the study program as long as learning is the top priority. 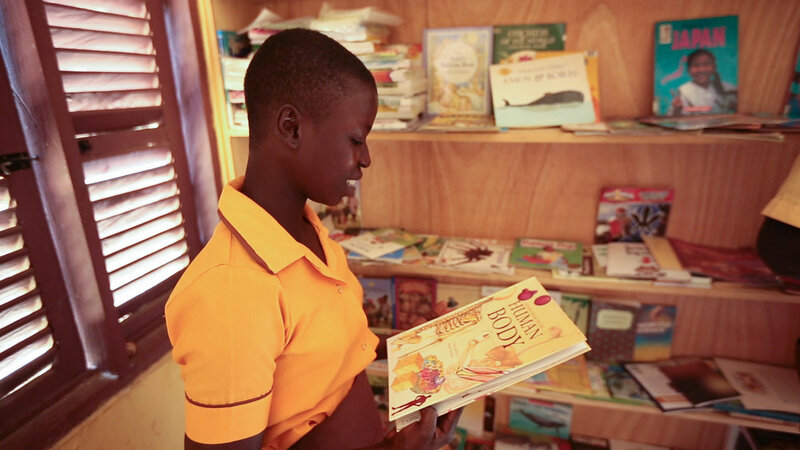 We are proud that EPI now has 6 libraries established at our top performing schools in Ghana. A big motivator to encourage teachers and headmasters to engage in our programs is that if their students do well we will help establish a library at their school. We partner with the African Library Project to make this possible. The African Library Project works with our volunteers in the US to organize book drives to collect 1000 children’s books per school then they ship the books to Ghana. We are extremely grateful for this partnership that allows us to grow our project. Most of the schools we work with in Ghana do not have libraries or any set of books for the children to read. Imagine trying to learn to read only with words written on a chalk board or text books shared with a few other students. With the library project, we are providing children with light and books to study at night. We are rolling out this project slowly, installing about 5 school libraries per year. If you would like to run a book drive, please contact us at info@empowerplaygrounds.org or visit here. In 2017, we began a small computer lab as a pilot program at Attabui Primary and Junior High School, which has recently been connected to the Ghana power grid. 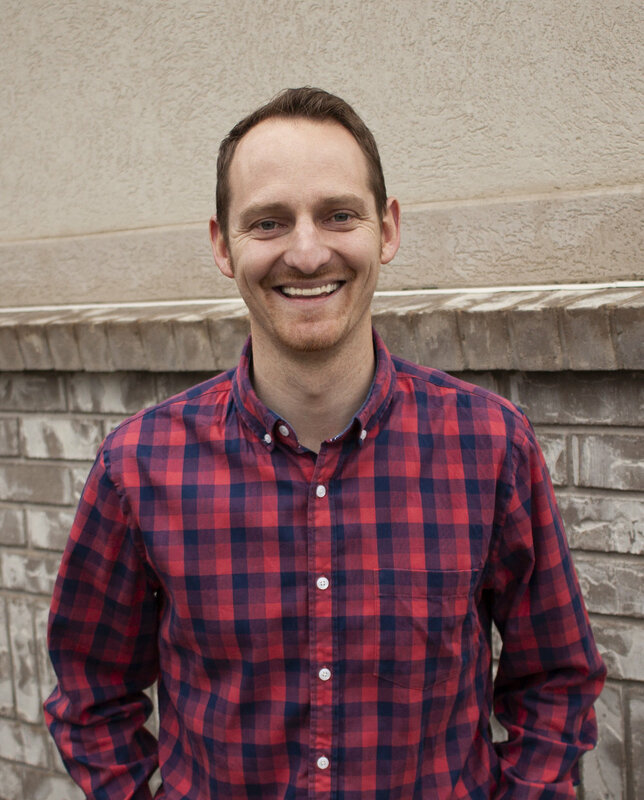 The Roberts family Foundation funded the project and the Utah based TAMS Computers helped to supply 6 affordable laptops for the lab. 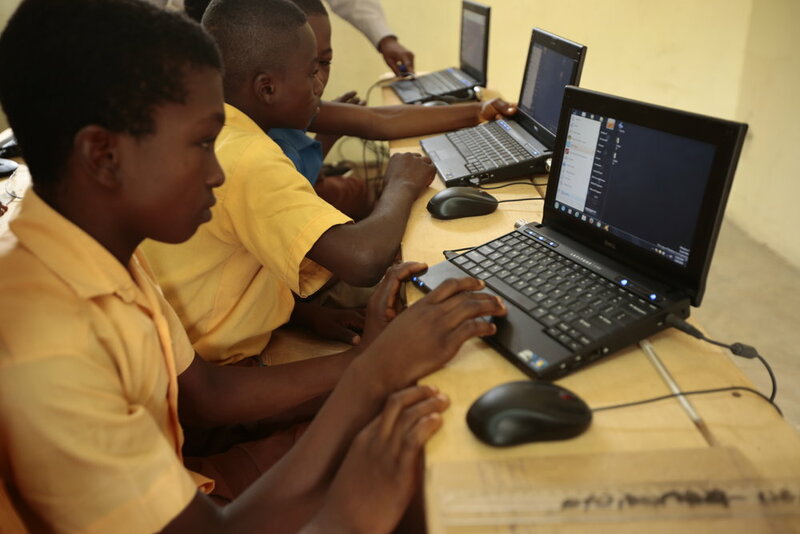 As part of the Ghanaian curriculum, Attabui already has a computer class for their students and now with computers they can really grasp the concepts being taught. Empower Playgrounds science kit program consists of 6 different science kits. Schools are given a set of 4 of each kit to help them build up a mini, portable, EPI science lab. In 2017, Empower Playgrounds completed delivery of the microscope science kit to the schools and began retraining teachers on the Motors and Generators science kits. EPI will continue to retrain teachers in 2018 in order to help them better utilize the kits within their curriculum. Every year, we select a few of our best schools to provide much needed amenities and projects that are simply beyond the resources of the communities we work in. In partnership with the Robert’s Family Foundation, we build classroom space so students can have safe, clean and suitable learning environments. Each community contributes what they can to the construction process, such as gathering wood for the framing and EPI covers the rest. In 2017, EPI built new classroom blocks at both Wurudu Wurudu and Fawotrikosie Primary Schools. Wurudu Wurudu new classroom block. Completed in 2017. Fawotrikosie new classroom block. Completed in 2017. In 2017, we installed two new, clean water wells (boreholes) at Wurudu Wurudu Primary and Junior High school and Mosipanin D/A Basic School. Both schools were using water sources located over a mile away from the school and many students were spending precious class hours fetching unclean, unsanitary water. Now they have access to clean water steps from the school. We also installed two more sets of sanitary BioFil toilets this year, one on Pediatorkope Island and one at Wurudu Wurudu. he girls full-ride scholarship program was created in partnership with the Roberts Family Foundation to provide opportunity for girls from the island villages of Pediatorkope and Alorkpem with a desire to continue their education and attend high school. We have put a hold on expanding the project due to the Ghanaian Government’s new program that has made the first year of high school free. We are waiting to see the results of the government project before we decide how we might expand our girls’ scholarship program. In the meantime, we are continuing to sponsor our three amazing scholarship recipients: Martha, Gladys, and Jennifer. They are currently working on their second year of high school. As part of this project we hired a local university student, Josephine Dansoa, to mentor the girls. Josephine checks in on them to make sure they are doing well, she checks their grades, follows up with their teachers, and encourages them when they are struggling. They love Josephine and we love that she is a part of this project. Erika, 15, walks 45 minutes from her village in the mountains down to Bahankra Junior High School where she attends the 8th grade. Erika missed several years of school due to family circumstances and began working extra hard and spending extra time with the EPI lantern so she could catch up in school. Her dedication has paid off as she is now the top student in her class. Erika has started dreaming of becoming a doctor and loves her new library’s book, The Human Body, an illustrated depiction on human anatomy, which she reads at home with her lantern. She is an incredible young woman with her eyes forward to high school and beyond in 2019. Empower Playgrounds expanded our board in 2017 building the board to have a total of 7 members. We are so excited for the new talent that will contribute and help fulfill the mission of EPI. We credit a lot of what we accomplished in 2017 to our new and more complete board. You will be able to meet and get to know our board a little better at the upcoming Play for Light event in October of 2018! See details here. mpower Playgrounds runs with a streamlined staff to keep our overhead costs to a minimum. 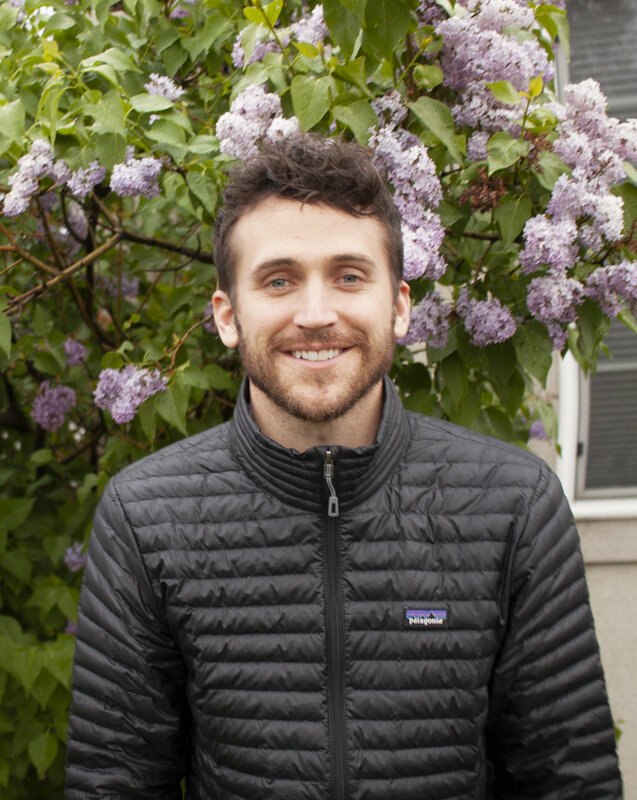 Our US staff is responsible for the accounting, fundraising, marketing, and project management. We hire local Ghanaians to implement and maintain our projects as a more sustainable and ethical approach to the work we do in country. Our teams work together with the board of directors to make all the amazing things in this report happen. EPI partners with the African Library Project to establish libraries at our schools. Use your network to share the impact you have helped make in Ghana! Use your skills in the US to help fundraise and support EPI. n 2017, we had our annual Play for Light fundraising event with EPI board members and staff who presented to the community on current and future Empower Playgrounds projects and provided opportunities to use our hands-on science kits. Please join us for our charity breakfast event in October 2018, details are listed above. Learn more about our 2018 event and register here. We hope to see you there!